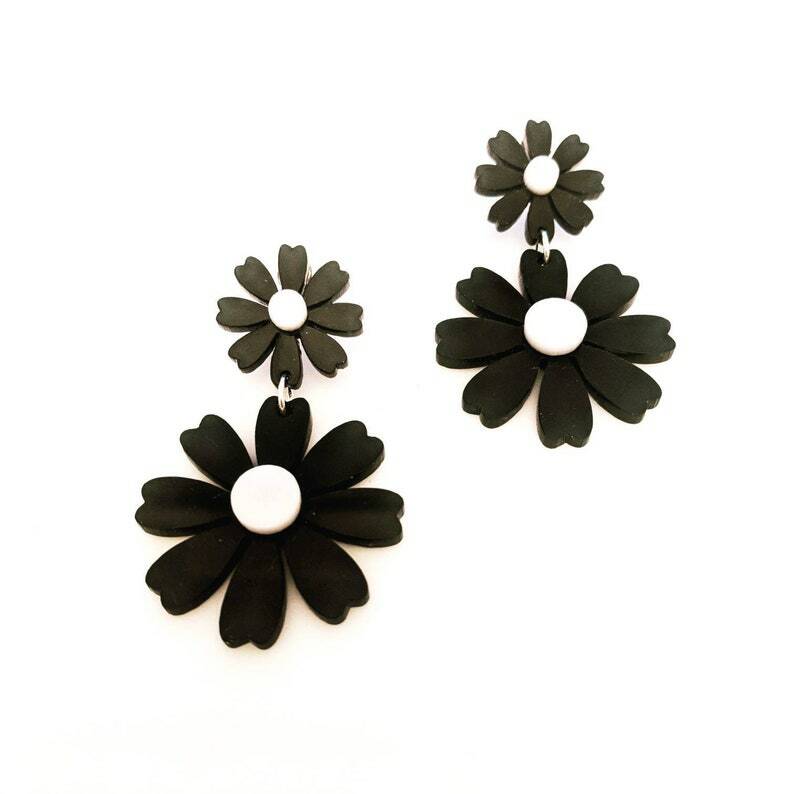 Light and versatile earrings that goes well at any occasion. We can customize anything you want, from changing the color of the acrylic to making a new size for you. Do you want more flowers on it? We can add that too!